Comune >> Harghita >> Lupeni >> Stiri >> Comuna Lupeni - Harghita isi cauta Administrator. Poti fii chiar tu! 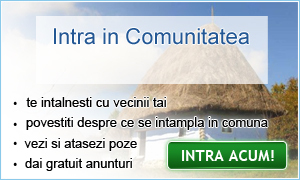 Ziare.com a dedicat un intreg website comunei Lupeni - Harghita. Acum este randul tau sa decizi ce apare pe el. Oricine poate deveni Administrator al acestor pagini. Pentru ca primim in fiecare zi multe vesti de la oamenii din comuna Lupeni - Harghita, unele mai interesante si mai importante decat altele, avem nevoie de cineva care sa le vada primul, inainte de a le vedea intreaga comunitate. Administratorul decide ce merita cu adevarat sa apara pe pagina comunei Lupeni - Harghita, cu care se va mandri intreaga localitate, drept pentru care trebuie sa fie cat mai bine intretinuta. Administratorul valideaza articolele care apar, anunturile, evenimentele, materialele video sau fotografiile. Administratorul modereaza si discutiile de pe siteul comunei Lupeni, in scopul pastrarii unui mediu de dezbatere civilizat. Daca doresti ca tu sa administrezi pagina comunei Lupeni - Harghita, acceseaza acest formular si trimite cererea ta. 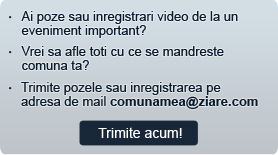 Echipa Ziare.com te va contacta si iti va spune tot ce ai de facut. Prior to my first vist to Romania a couple of years ago, I recveied nothing, but damming reports of the place and its people from others of all nationalities, especially the Czechs (I was based in Prague at the time). I have to say that I enjoyed working there and came away at the end of a short contract, feeling that Romania was a country the enthusiasm and ethic of who's people would enable it to prosper quickly as new EU members.I much prefered working with Romanians than I had done Czechs for instance, who by contrast I feel are negative, unjustifiably arogant and lazy.I liked the people I was working with at one of Romania's biggest organisations, but I realise that they were perhaps untypical. This report really just underlines this and supports the views that were expressed to me before my visit.I am fascinated by national branding and have touched on the subject in a short post on my blog. Romania is a challenge for sure, but I still beleive it has bags of scope, so I will still be looking for new opportunities to contribute to the development there.